The culinary legacies of the East and West are found in this dish, whose singularity lies in the use of various spices and the combination of tender, juicy and crunchy elements. 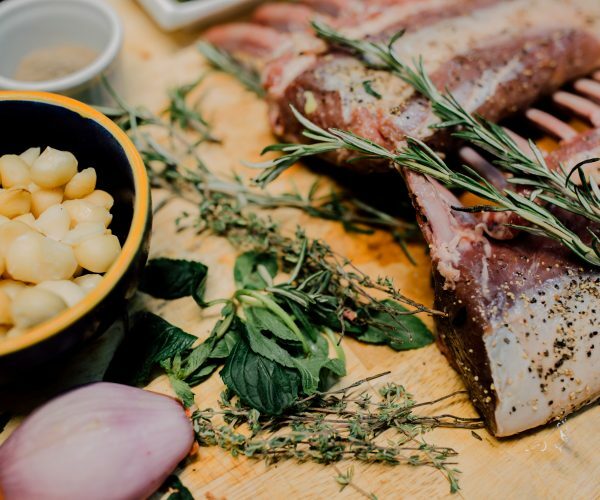 The rack of lamb (imported from New Zealand) is seasoned with salt, pepper and olive oil. When it is at room temperature, the chef begins browning it on both sides in a preheated pan. A paste made of macadamia nuts (from Tepic), fried onions, cardamom and turmeric is applied to the front side. Once that area is completely covered, it is seared for a few minutes to form a crunchy crust. Finally, the rack finishes cooking inside a stone oven, giving it the specific touch and characteristic flavor of Mark’s Bar & Grill. 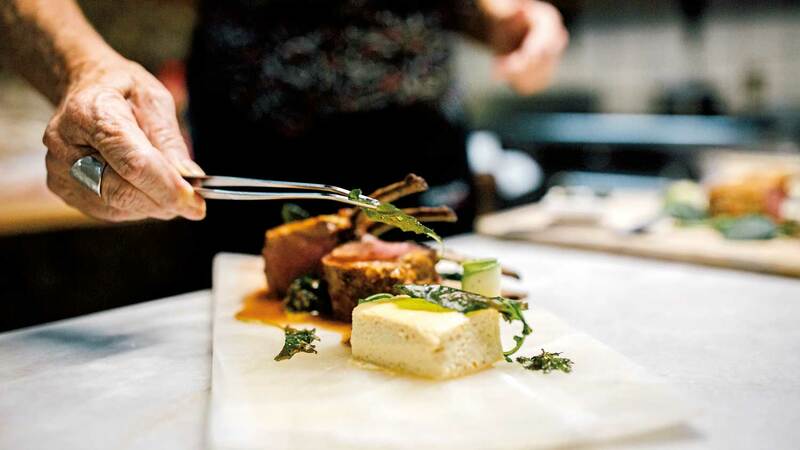 The lamb is accompanied by various garnishes, including a creamy roasted garlic flan and a contrasting tapenade made with olive oil, mint, oregano, thyme, basil, shallots, anchovies, capers and sherry vinegar, as well as a mint and pea puree, plus a couple of rolled strips of zucchini cooked in chicken broth. 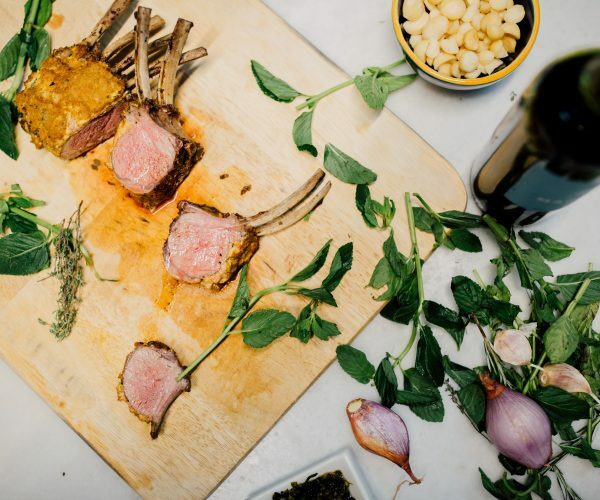 To assemble the dish, the mint and pea puree is spread on the plate, followed by the rack of lamb (which has been left to rest and cut into thick chops). Then, it is covered with a red wine reduction prepared in the same pan where the ribs were roasted, with chopped shallots, garlic and some rosemary leaves that give it a very pleasant aroma. Finally, the tapenade, garlic flan, zucchini and an unexpected final element, kale leaves baked in olive oil and salt, are added. 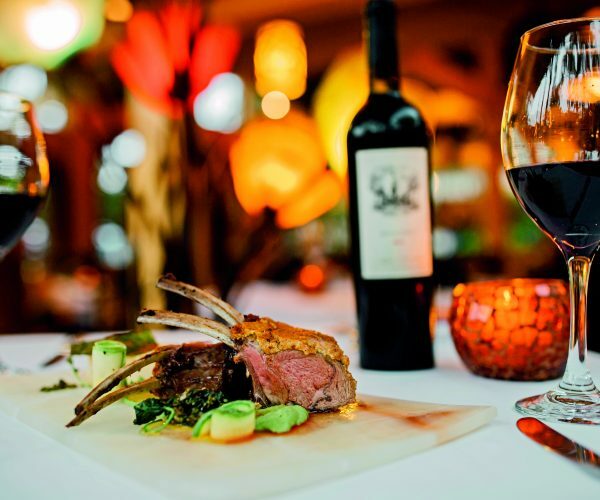 This exquisite dish of contrasting flavors can be accompanied by a Pies de Tierra, a red wine made with shiraz and tempranillo grapes from the valleys of Baja California. Charismatic New Zealand chef Jan Benton has had the opportunity to travel around the world, discovering the gastronomy of each destination. 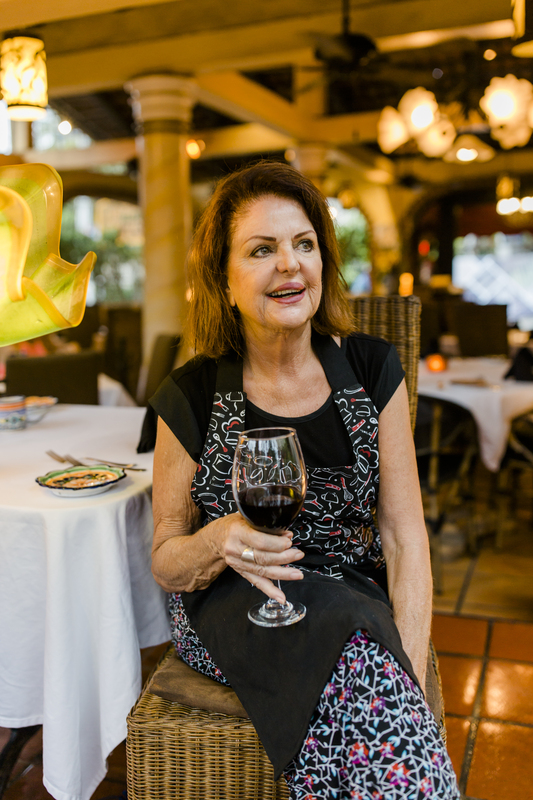 Her passion for food and wine led her to explore and embrace the culinary arena. After living in San Francisco for more than 20 years, she moved to Puerto Vallarta, where she met her now husband, Mark McMahon. 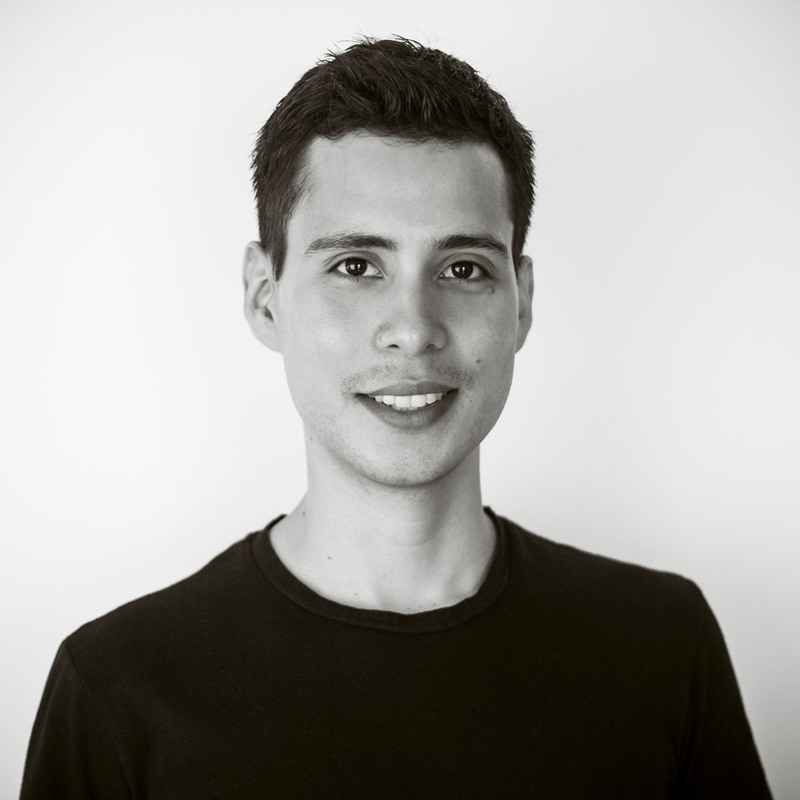 In 1992, they opened Mark’s Bar & Grill, and since then Benton has been in charge of the restaurant’s kitchen, experimenting with Mediterranean and Asian flavors and local ingredients, turning their restaurant into a classic in the Bucerías area. Lazaro Cardenas 56, Bucerías, Riviera Nayarit, Mexico 63732.